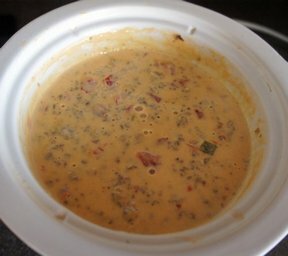 Crumble ground beef in a 1-quart microwave-safe casserole dish. Cover and place in microwave for 2 minutes. Stir; cook for 2 more minutes. Spoon off fat. 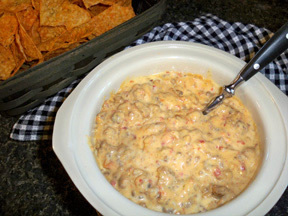 Cut up Velveeta cheese into cubes and stir into the cooked meat. Heat in microwave, stirring occasionally, until the cheese is melted. 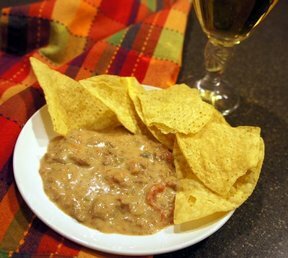 Add Rotel tomatoes and beans to cheese mixture. Stir. Place in microwave for 2 minutes; stir. Let stand 1 minute before serving.